Spotlighting interior designers with tremendous potential is a big high for me. As much as I love sharing the scoop on designerlebrity worthy news, it's the "Potentials" that I root for. It's like wanting my favorite singer on American Idol to win. Which is why I'm excited to introduce you to interior designer, Sarah Elizabeth Swatez. No need to text in your vote. 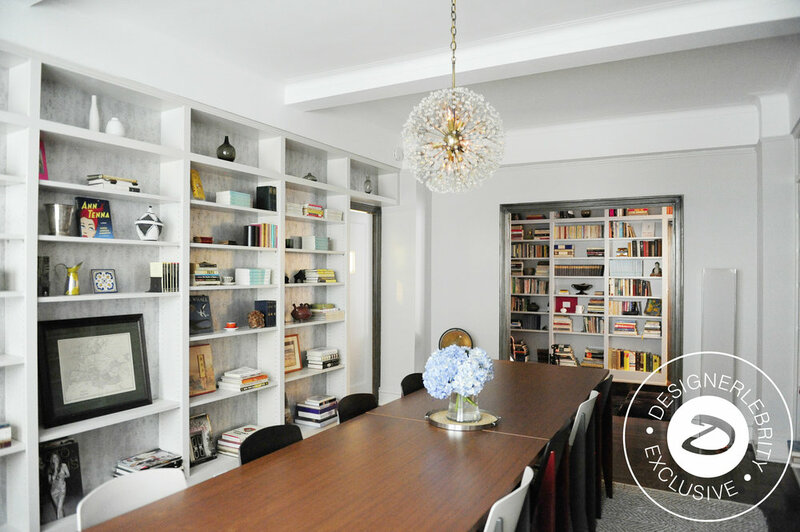 Sarah Elizabeth's clients are big fans and her most recent project for Wednesday Martin, author of NY Times Bestseller, Primates of Park Avenue, shows Sarah Elizabeth heading into designerlebrity status in no time. Sarah Elizabeth launched, Sarah Elizabeth Design, LLC in 2013 and has a degree from The New York School of Interior Design. Although her first client would be considered high caliber and intimidating to most novice interior designers launching a new business, Sarah Elizabeth opted to take-the-bull-by-the-horns approach. She embraced the challenge and even considered herself lucky. "A great project is when the clients have knowledge and appreciation of good art and design, so then it becomes this awesome exchange of knowledge between designer and client." Working in this manner paid off. When the project progressed she was granted a lot of freedom to make decisions which translated to her working on this client's second home with confidence.